Steven Strait (as James Holden) on SyFy's The Expanse. I went through the usual roller coaster ride of emotion when I heard that Syfy was adapting James SA Corey’s incredible sci-fi book series, The Expanse, into a television show. At first, I was elated: here was a chance to see Holden and Miller in the flesh, and to see the wonderfully rich and detailed near-future world of the novels come to life! Then, the doubt crept in: how could any TV series, no matter how well funded, possibly do it justice? The novels wove a rich tapestry of futurism and escapism, balancing complex themes of racism, authority, and even the nature of consciousness with a propulsive sense of adventure. I don’t care how big your budget is, that’s a feat that’s nearly impossible to replicate from the page to the screen. Then came the final reservation: I’ll watch it, knowing that it likely won’t be what I want it to be, but since that expectation is unreasonable, I’ll give it the benefit of the doubt – and hopefully it will find ways to surprise me. Surprise me, it did. As curators of science fiction programming, an all-too-rare commodity, Syfy’s quality record has been patchy at best: for every intelligent, worthwhile pilot, there are two ghost-hunting shows; for every Defiance, there’s a Fangasm. The Expanse, though, feels like an effort with some oomph behind it. It’s clear in every frame that the network wants it to succeed – and much more notably – wants it to be good. I’m not fully sold on all of the show’s elements, which we’ll get to, but off the bat I have to say that as a huge fan of the source material, I was very impressed. A quick summary: The Expanse is set 200 years in the future, when humanity has colonized some of the farther reaches of the solar system. A cold war is brewing between political factions from Earth, Mars, and the colonies of “The Belt” (the asteroid belt between Mars and Jupiter). In this future, human culture has become a genetic melting pot, and advanced (but not fantastical) technology allows for travel between celestial bodies, albeit at the cost of extreme, potentially-lethal g-forces. James Holden, an “Earther” working aboard an ice freighter, leads a band of survivors to safety when their ship is destroyed by an unknown assailant. Meanwhile, a “Belter” gumshoe named Miller works on a missing persons case, which may be connected with the destruction of Holden’s ship. On Earth, Chrisjen Avasarala, Undersecretary to the UN, plays a dangerous game in attempting to maintain the fragile peace between Mars and The Belt. It’s a wonderful setting and a simple, effective story hook, and I applaud The Expanse for sticking to it so faithfully. 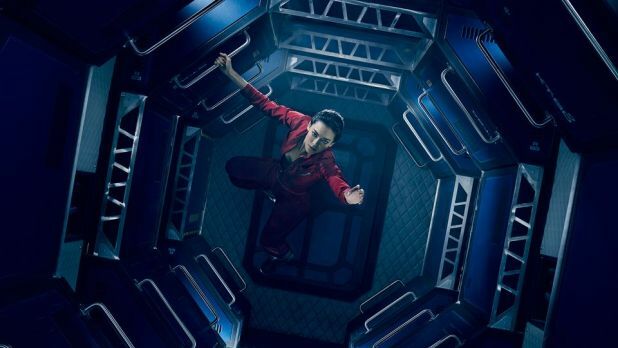 Florence Faivre (as Julie Mao) on The Expanse. The accuracy of the cast’s appearances, though, is hardly that important. What matters are their performances, and the quality of the scripts they’re expected to work with. None of the show’s performances are exceptional, but all are serviceable. Some, like Thomas Jane’s, are at least interesting – but some are troublingly lacking, like Wes Chatham as Holden’s mechanic, Amos, who the show paints as a soft-spoken, dim-witted brute (when his character in the novels was a much more nuanced and memorable version of the recognizable tough-guy archetype). 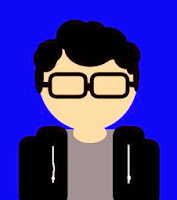 I lay that at the feet of the narrative team, who – despite collaborating with original authors Ty Franck and Daniel Abraham (whose combined pen name is James SA Corey) – seem to heavily prioritize worldbuilding over characterization in the show’s first four episodes. Hopefully, characterization will occupy less of a backseat as the episodes progress. This prioritization is understandable, since The Expanse has a ton of worldbuilding to do in order to effectively convey the intricate, multifaceted solar system of the novels. I’m relieved that it does this with aplomb. Many of the trickier elements of this fictional near-future seem impossible to translate to the screen, but show creators Hawk Ostby and Mark Fergus have clearly taken the challenge head-on. The obvious example is “Belter Creole,” the fascinating and perplexing patois spoken by native Belters, whose genetic lineage is so scrambled that their conversations contain equal parts French, Chinese, and Portuguese (and are usually delivered with an off-kilter Jamaican accent). I admit I had little faith that this element would make it to the screen, but it’s everywhere in the show whenever the story shifts to Miller’s case on Ceres Station, and the series deserves serious kudos for including something so challenging to both the cast and the viewer. I’ll also applaud the creative way that it deals with Belter physiology: in the novels, all native Belters have elongated skeletal frames from spending generations in low gravity, and the show does include some exceptionally tall and lanky actors – but since it’s unreasonable to cast an entire space station’s worth of Belters this way, the show explains that Belters actually suffer from a myriad of genetic deformities as a result of their home asteroid (like Miller, who’s played by the non-lanky Thomas Jane, so he has a spinal dysfunction instead). Other stand-out facets of the books, like the “burn couches” that characters sit in so they can survive insane g-forces whenever their ship travels long-distance, are also included. More than anything else, what impressed me about The Expanse was its commitment to these elements, which are so specific to the novels and so important to its uniqueness as an SF setting. 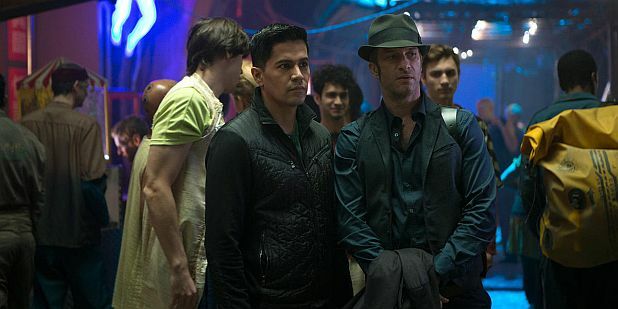 Jay Hernandez (as Dimitri Havelock) and Thomas Jane (as Joe Miller) on The Expanse. As I said, though, there is a cost. In focusing on establishing the unique details of the setting, The Expanse lets character motivation and development slide, meaning that while it manages to create ample opportunities for space survival action and terse dialogue, the viewer is only given basic sketches of each player in any scene. Holden is humourless and authoritative, got it. Naomi is… also those things. Alex is sardonic. Amos is gruff. Miller and Avasarala stand out thanks to their storylines being more focused, but even they act more as vehicles for the plot than as interesting or relatable people. Thankfully, the plot is strong, and while story construction is slow in establishing the conflict between human colonies, the rising class tension on Ceres Station, and Holden’s survival arc, the setups have so far led to satisfying and logical payoffs (Avasarala revealing a more ruthless side in her political machinations; deadly riots and water tampering on Ceres; and a “frying pan into the fire” situation when Holden’s stranded crew is picked up by the Martian navy). 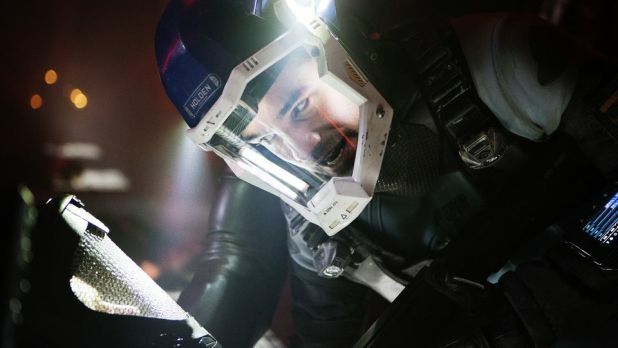 The most noticeable aspect of The Expanse – one which unfortunately decides the fate of many similar SF shows – is the effects work, which here is truly impressive for the show’s constraints in both budget and time. Ostby and Fergus found creative ways to make their visuals convincing (especially the low gravity effects, which amaze), but the constraints do show up, whether it’s a single, particularly dodgy CG effect, or an oddly unrealistic creative choice (like being able to hear sounds in space, which always irritates me). The production design, including the sets and costumes, are slick and authentic; everything looks appropriately shiny and futuristic while still maintaining a lived-in feel, and very different visual tones are established for each setting (and each faction which occupies it, whether it’s the glass and steel of coldly calculating Earth, the red and black of militaristic Mars, or the grungy neon of the slums on Ceres). The Expanse definitely tries hard to look the part of a well-funded, high-profile sci-fi show, even if it doesn’t always succeed. The Expanse’s transition from page to screen was better than I could have hoped, if still lacking in certain crucial ways. Knowing that the novels get progressively more intense in terms of tough-to-adapt SF material, I’m both concerned for the future of the show and reassured by its proven commitment to the story, as well as Syfy's faith in the series – which the network has demonstrated by renewing it for a second season on January 1st. If I hadn’t read the books, and was watching this series blind, it would be even more impressive. My sincere hope is that those unfamiliar with the books will be able to focus on the show’s positive elements, and will be inspired to read the incredible source material for themselves. Even if the show tanks by the end, it will have enjoyed a strong start, and the novels will always be there anyway.